Join us Christmas Eve to hear the story of Christ’s birth like you’ve never heard it before. A live, one-man show will help you experience the birth of a son through the eyes of his father. 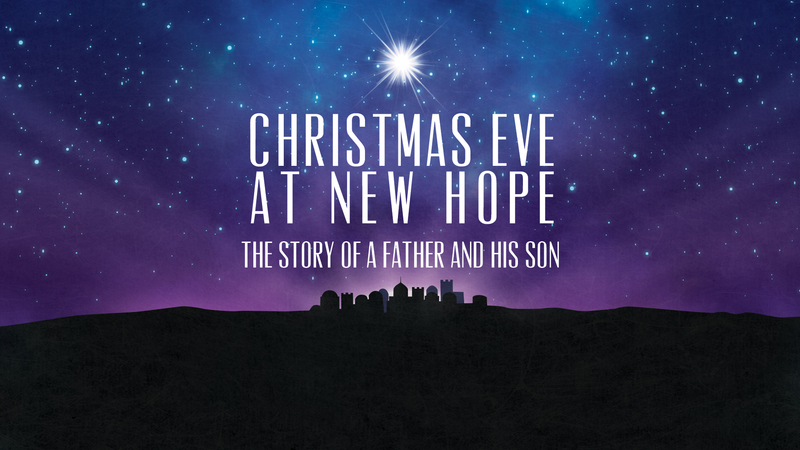 Christmas Eve at New Hope will be an unforgettable evening of candle lighting, live theatre, and Christmas carols.